We've included listings for companies such as CBD Glass Studios and CBD Glass Studios inside our Pedestal Sinks guide. Billing itself as "the most complete antique plumbing shop" in the world, this firm offers online sales of reproduction plumbing supplies and hardware -- everything from toilets to pedestal sinks -- to hard-to-find fittings. Founded by artist and designer, Joe Jumalon, this company specializes in handcrafted ornate (one of a kind) cast metal goods for the kitchen and bath, of many different alloys, but predominately bronze. 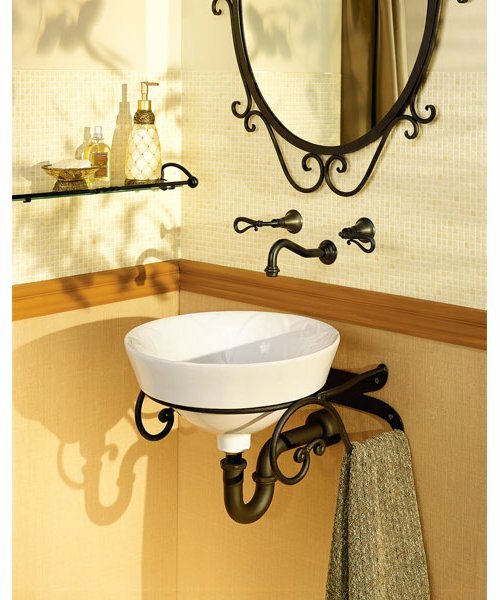 Supplier of classic clawfoot and cast-iron tubs, antique-style pedestal sinks, plus classically styles toilets and faucets. Specialty manufacturer of a full line of glass vessel and traditional glass sinks for the home or office. 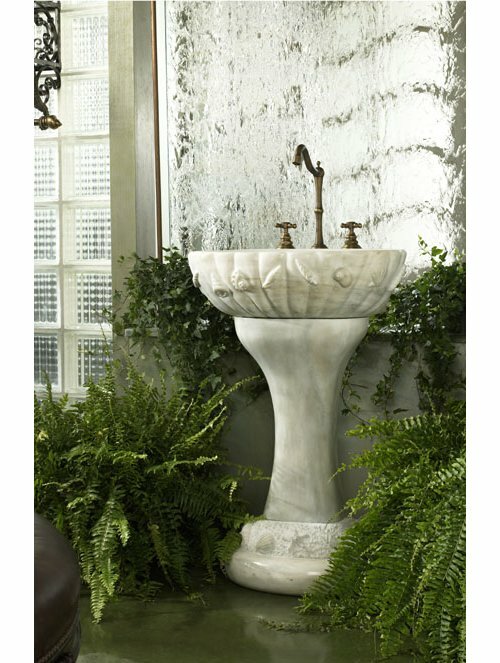 A touch of luxury and class in this marble pedestal sink. This little sink has plumbing you won't exposing to the world.